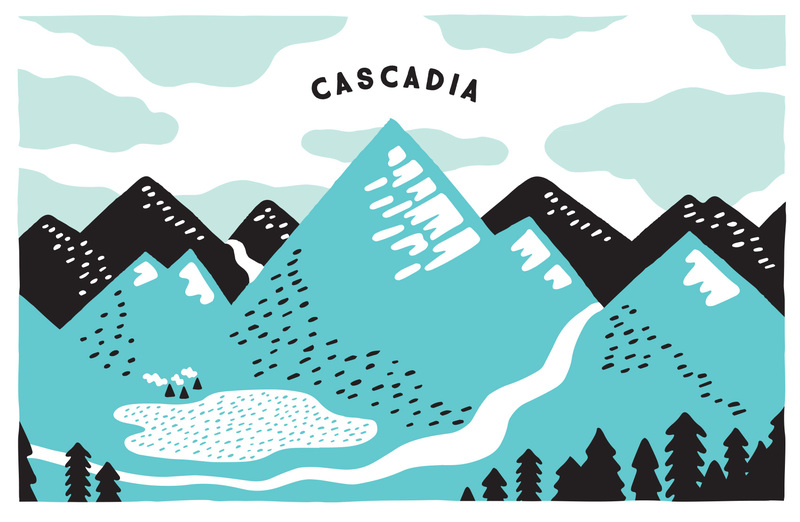 Here is the fourth card in a series of six postcards I illustrated for Umpqua Bank. They were used at the Portland Business Journal Luncheon and Seattle Design Series, mixed and matched in sets of 3 and delivered in a custom envelope. Olympia Provisions, of famed salamis and several restaurants in Portland, has several meat-of-the-month clubs. You heard it right! Salamis, sausages, pâté and pickles* all get the white glove treatment and can be delivered straight to your doorstep or gullet, whichever is closest to the mailman. 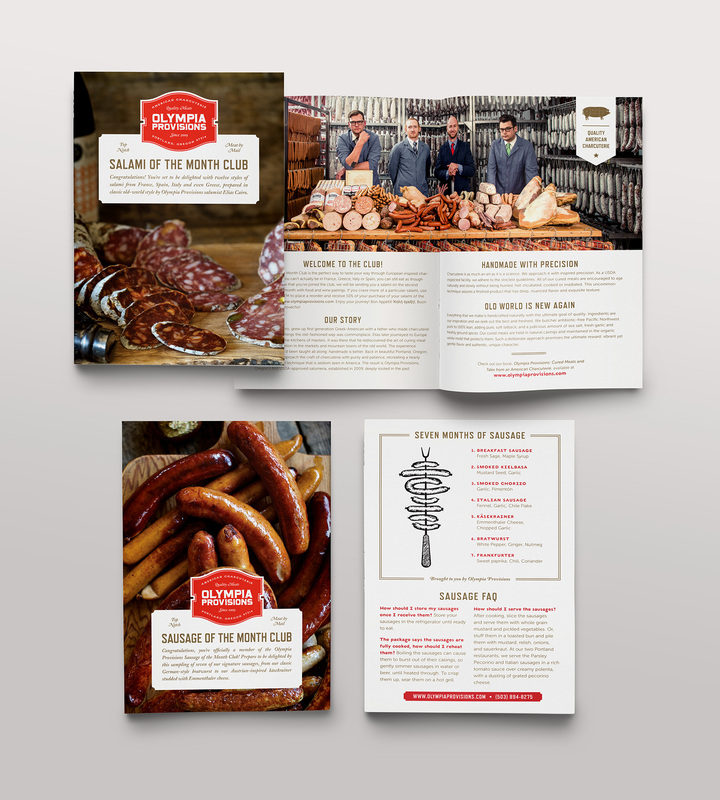 For each club the Bureau was tasked with designing informational brochures so members knew (for example) exactly what was in their salami, how best to serve it, what kind of romantic dates salami likes best, and revealing once and for all what that white stuff on the outside of a salami is (protective edible house flora that has a reputation that precedes it). 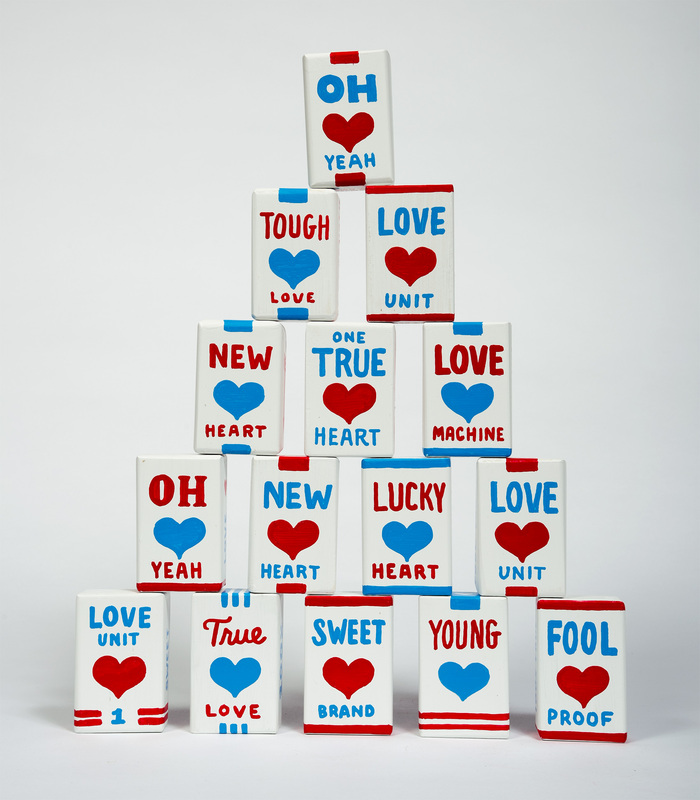 Unsure of what to get your sweetie for Valentines to tell them they are that special someone? Say it with meat.